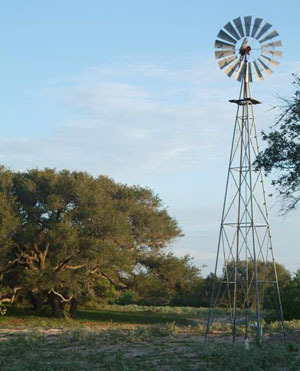 All three major south Texas eco-regions — coastal sand plains, gulf prairies and marshes, and south Texas brush country — meld together on this working south Texas cattle ranch. Biological diversity is known to be greatest at ecological junctions ("ecotones") such as this. Our diverse habitats provide the discriminating sportsman with a unique environment for the pursuit of white-tailed deer, nilgai antelope, javelina, feral hog, wild turkey, mourning dove, bobwhite quail and waterfowl. Over 330 species of birds are known to utilize the diverse habitats found on El Sauz Ranch. El Sauz Ranch utilizes active habitat management techniques to maintain its prime habitats. In order to promote innovation in wildlife management, El Sauz Ranch supports and works closely with Texas A&M University - Kingsville, Caesar Kleberg Wildlife Research Institute, and The Peregrine Fund.